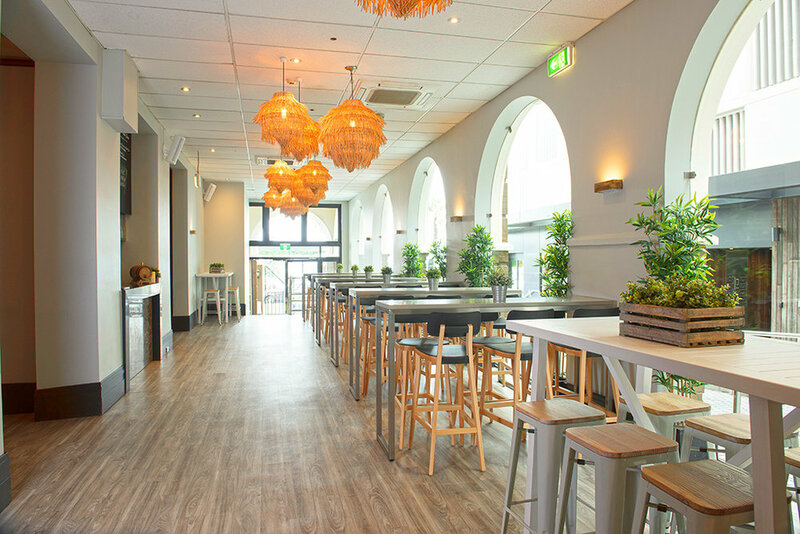 Located opposite Bondi Beach, Hotel Bondi offers a light hearted atmosphere comprising of boutique accommodation, a bustling bistro, bars and beer garden to take in the beach over a cold one. Established in 1919, Hotel Bondi sprinkles modern charm to this heritage beauty. Each room encompasses the Bondi style with single, double, twin, queen and king bed options as well as private or communal balconies and free wi-fi for guests. The bistro is the heart of the Hotel with a handcrafted seasonal menu as well as a paired beverage offering. Sistering the bistro is our lively beer garden and the Curlewis Bar featuring the perfect entertainment roster and the best draught beer, wine and handcrafted cocktail selection to bring in the warm beach days. Hotel Bondi is well known for our sumptuous meals including pub classics in our lively bistro. Try a 5+ Marble score Wagyu Rump and top it with some fresh prawns. The perfect location to take in the afternoon and a cold one after a day at the beach. You don’t get more Bondi than this. The Curlewis Bar is the hub of all bustle. Whether it’s taking in the live band on Sunday, the DJ on Friday and Saturdays or that special event space. The Gallery is decked for friends. Off to the side, this social hub is home to many cheers and chuckles.